The will be newly-wed royal couple William and Kate are going to spend their honeymoon at divine Lizard Island Resort. Lizard Island is truly secluded from the rest of the world. The Lizard Island Resort is located right on the Great Barrier Reef, with 24 powdery-white beaches and 40 luxurious suites. Dining is one of the Great Barrier Reef hotel’s many pleasures. Ospreys Restaurant embodies the resort's understated elegance. The menu, which changes daily, is fresh and creative, showcasing the finest local produce and freshest seafood. In the 2010 US Conde Nast Traveler Readers Choice Award (Category 'Top 20 Resorts Oceania') Lizard Island ranks 8th. Lizard Island was voted second in the category 'Best Australian Resort' in the 2009 Gold List Awards. In 2008 Lizard Island was voted as the top hotel in Australia, New Zealand and the South Pacific and one of the top 100 hotels and resorts in the world at the Travel + Leisure World's Best Awards. Lizard Islandis accessible by air from Cairns Airport in northern Queensland, Australia. 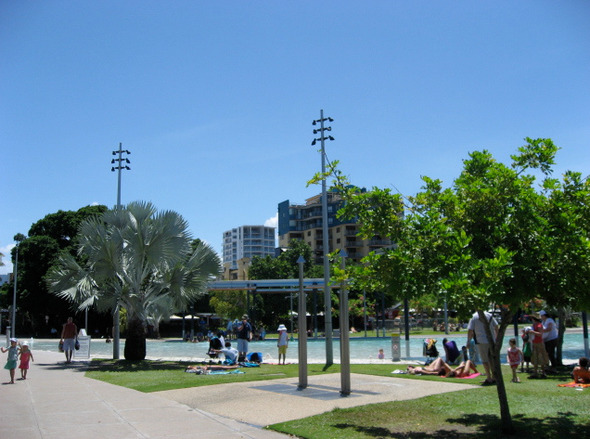 Cairns Airport is accessible from all major Australian airports and directly from some cities in Asia. Follow the royal couple footsteps at your own cost. It will cost you roughly about USD 58 000 to go on Prince William and Kate Middleton's honeymoon. A business-class, round-trip flight from New York's JFK to Cairns could run you $21,999. But if you don't mind sitting in coach for 28 hours, you can find one for around two grand. (And yes, before you point it out in the comments -- we realize the royals aren't flying commercial.) Springing for the most-expensive flight will get you as close as possible to recreating their experience. The air transfer from Cairns to Lizard Island is another $884 per person. Five nights in an Anchor Bay suite at the Lizard Island resort will run you $10,409. Cough up another $579 per person if you want to dive off the Reef. A facial at the resort's Azure Spa is $214. A review quotes the average price of a meal at the resort's Ospreys Restaurant at $60 per person before booze. And maybe if you are lucky, you might spot the famous couple strolling on the beach or getting a massage in the gazebo next to yours!! Perhaps then you want to take out your camera and snap these precious sightings - but don't do it conspicuously so as not to disturb the two lovebirds! For more ideas on luxury travel, visit our website here. To embed this post, copy the code below and paste into your website or blog. Historic forts to come alive again in India. North India's Top 10 tourist Destinations.